Andrew C. Papanicolaou, Ph.D received his doctoral degree in 1977 from the Southern Illinois University at Carbondale. His dissertation focused on the cerebral excitation profiles in language processing with regards the photic probe paradigm. He is currently Professor and Chief of the Department of Pediatrics, Division of Clinical Neurosciences and Professor at the Department of Anatomy and Neurobiology at the University of Tennessee. He also is Co-Director at the Neuroscience Institute at LeBonheur Hospital. 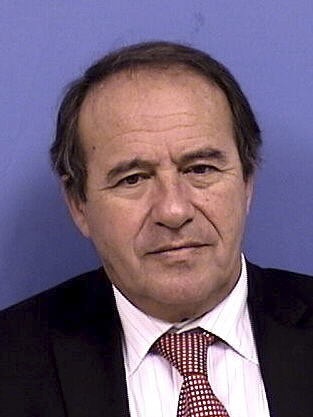 Furthermore, he is Director of the Neuropsychology Graduate Program at the Aegineteion Hospital at The National University of Athens as well as Member of the Governing Council at the University of Ioannina. Since 2014, Dr. Papanicolaou has been an Honorary Member of the Hellenic Clinical Neurophysiology Society. He has been on the Advisory Board of the Center for Applied Neuroscience since April 2016.